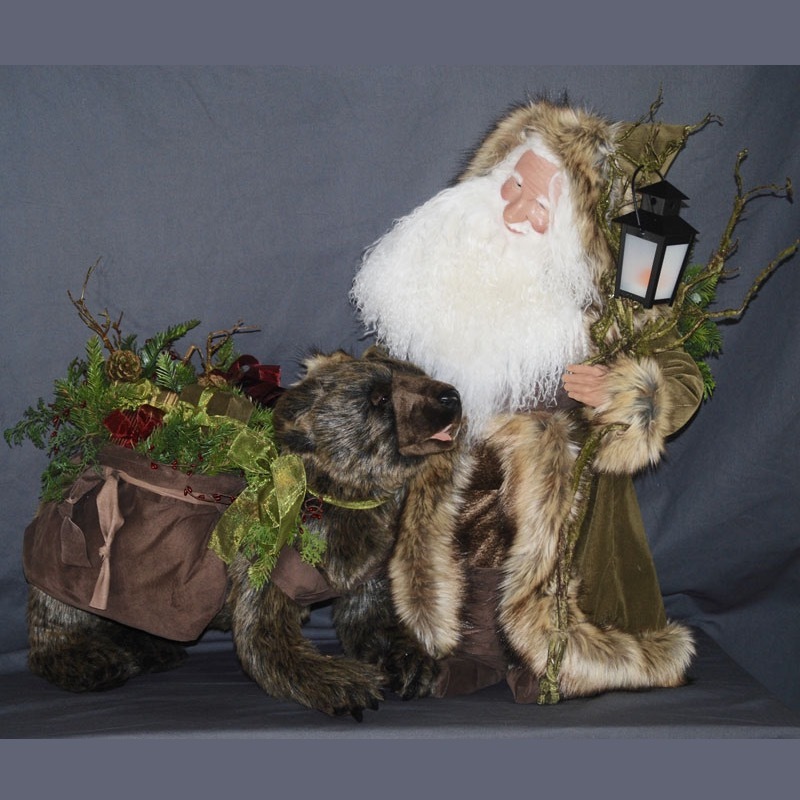 Blustery Eve Santa is an elegant woodland Santa who travels through the woods with his companion a large grizzly. 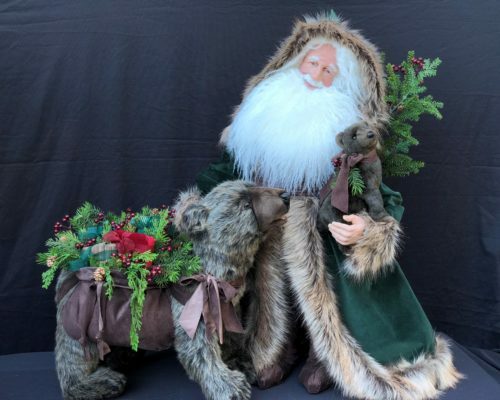 Santa’s coat is made with dark sage green velvet trimmed with luxurious natural brown faux fur. His boots and cummerbund are crafted with brown suede, as well as the saddlebags that his grizzly friend carries. 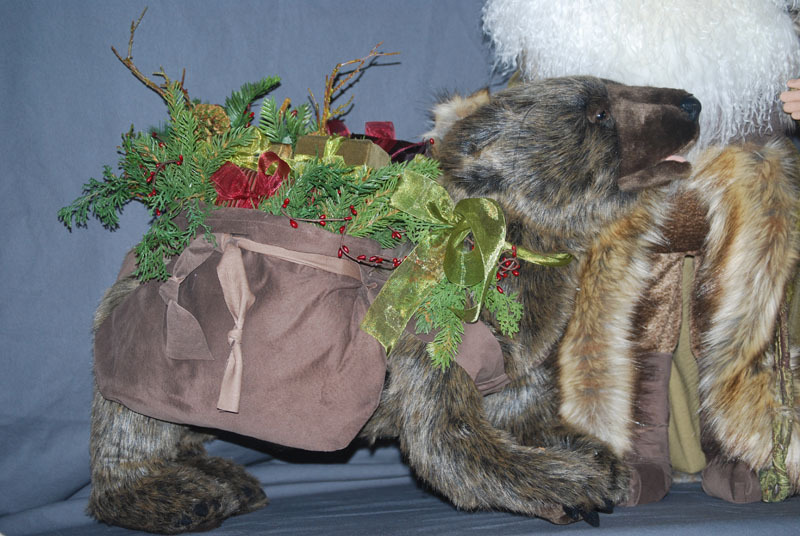 His overstuffed saddle bags carry elegant fabric wrapped packages and beautiful Christmas berries and forest greenery. 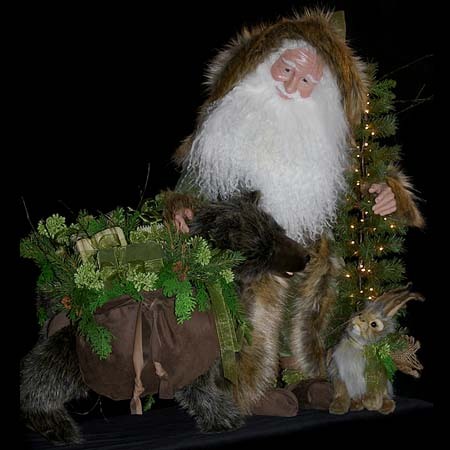 Santa also holds a moss covered staff with lantern and a garland of greens on his back. 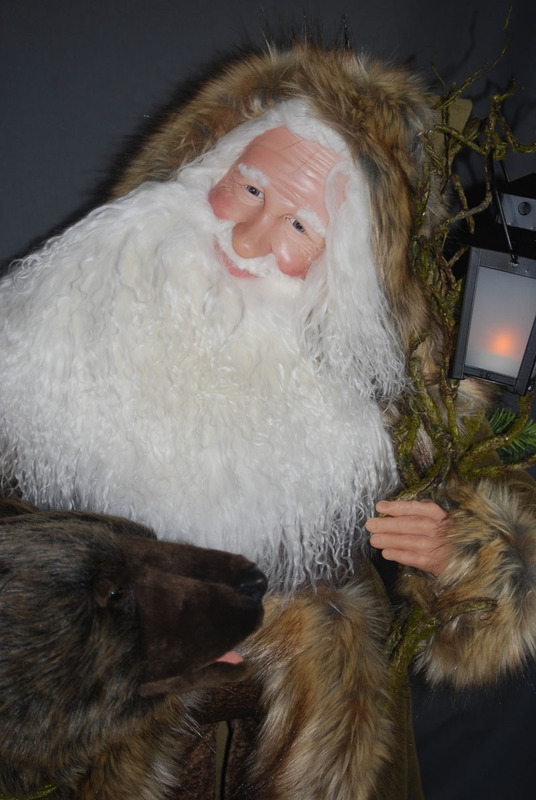 His eyes are victorian blue and he has a soft Tibetan wool beard, and a hand sculpted face of polymer clay. 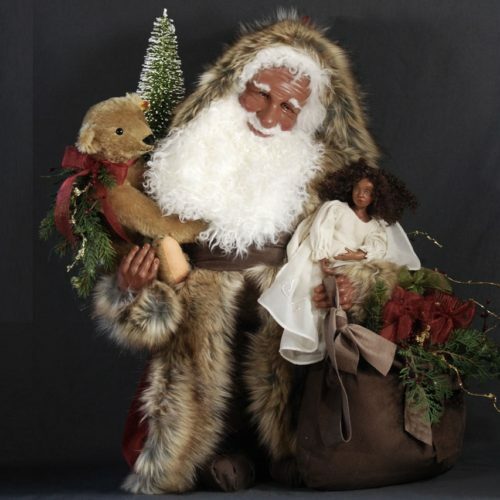 If you are looking for one special piece, perfect for your cabin or your woodland decor, this Santa is perfect!